We are a trusted provider of egg donation and surrogacy in California. We make miracles happen every day by helping individuals and couples find alternative methods of having children that are right for them. Whether you’re an intended parent hoping to start a family or are interested in becoming a surrogate mother or learning how to become an egg donor, we are committed to making your experience positive and rewarding from pre-screening, to delivery, and beyond! If you are unable to conceive naturally and are considering an alternative method of having children, California Surrogacy Center can guide you on your journey. We’ve successfully helped thousands grow their families and have 10 years of experience matching intended parents with the best surrogates and egg donors in Southern California. Learn more about our egg donor and surrogate services. At California Surrogacy Center, we offer gestational surrogacy, which involves fertilizing an embryo outside the womb and implanting it into a surrogate mother’s uterus. 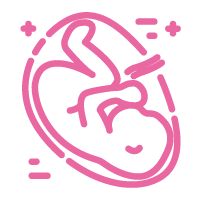 If you’re exploring the idea of gestational surrogacy, we hope you’ll join our family of compassionate surrogate mothers. From your initial screening, to matching you with intended parents, through the fertility process, to delivery, we’re here to guide you. Learn about becoming a surrogate mother. The egg donation process begins with the egg donor application form. Once your application is approved, you will move on to an initial screening process, which helps us build a perfect match with intended parents. As an egg donor, you will be generously compensated for your time, commitment, and dedication to helping a family in need. And, we’ll be here to offer the support you need throughout this incredible experience. Learn more about becoming an egg donor. 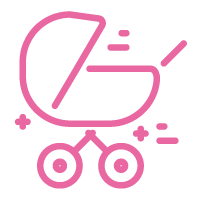 Check out Our Surrogacy Blog for Guides, Tips, and More!